After placing your order, you will fill a special container with about 5-8 grams of hair or (approx. 150 to 300 grams) of the crematorium ashes. A member of our staff will then distribute the hair provided the respective compartments of this container. We analyze the hair to find out the unique composition of its microelements. The hair is then placed in the oven and burned at low temperatures. The heat works together with chlorine to convert the carbon into graphite. The purified graphite is then exposed to the HPHT procedure in a diamond press. This press transforms the carbon into a raw diamond at pressures of up to 60,000 bars and temperatures of over 1,600° C. The raw diamond is then analyzed so we can establish its content and the concentrations of the stone’s admixtures. Afterwards the stone is cut according to your wishes and subsequently certified. Hair comprises of as many as 36 different chemical elements. The combination of its microelements is as unique as a fingerprint. 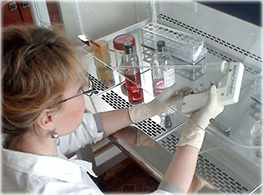 During the laboratory procedure, for which we’ve applied for an international patent, the hair’s microelements are added to the base material used to manufacture the synthetic diamond to create a new stone with its own, unique chemical composition: a new, individualized diamond. This manufacturing process also allows for the microelements of the finished diamond to be evaluated subsequent to its production. The chemical structure of the hair is determined using atom emissions spectrometry (AES). The hair’s microelements are then mixed with the graphite. The high pressure/high temperature (HPHT) method creates the exact same conditions as those found 150 kilometers beneath the earth’s surface. Graphite is a form of carbon that converts into a diamond when exposed to these conditions. 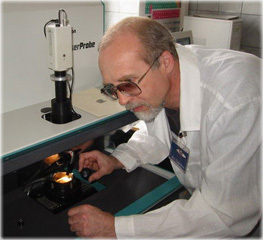 After completion of the manufacturing process, the content and the concentration of the diamond’s admixtures are assessed using inductively coupled plasma for mass spectrometry (LA-ICP-MS). This analysis is carried out on a piece of the diamond that splinters off during the abrasion process. We keep this segment as an exemplary of the chemical composition of the original diamond. This allows for the chemical composition of the diamond to be tested and confirmed by any laboratory that possesses the necessary equipment without damaging the original diamond itself. Afterwards your diamond is cut as you wish. 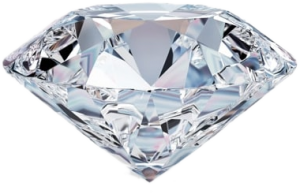 Along with the finished diamond, you’ll receive all the dust and extra material containing traces of the hair provided that has splintered off. During the finishing process, a unique, undiscernible imprint is inscribed into the stone to allow for quick and easy identification of the diamond without having to conduct a full analysis. Finally, the finished diamond is then certified by non-affiliated experts. The main properties of your personalized diamond, such as its purity, weight and chemical composition, are hereby documented.